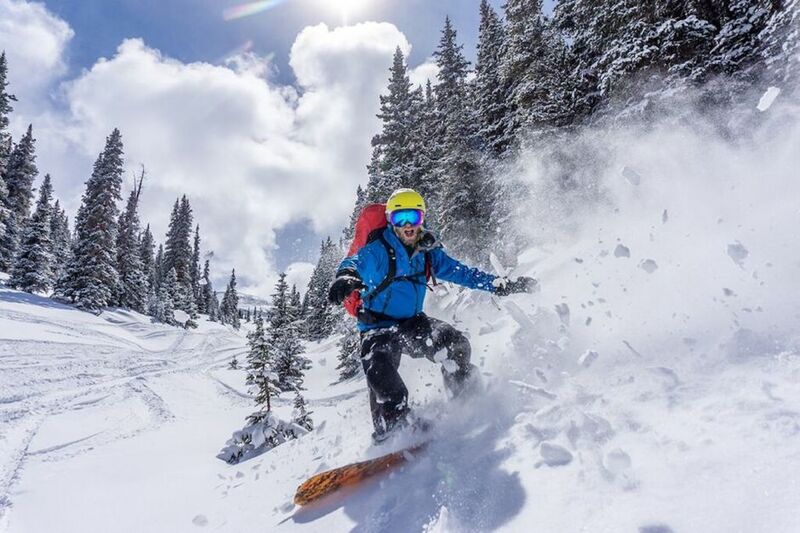 The Colorado backcountry is filled with breathtaking scenery, untracked powder, and huts hidden throughout that you can reserve. 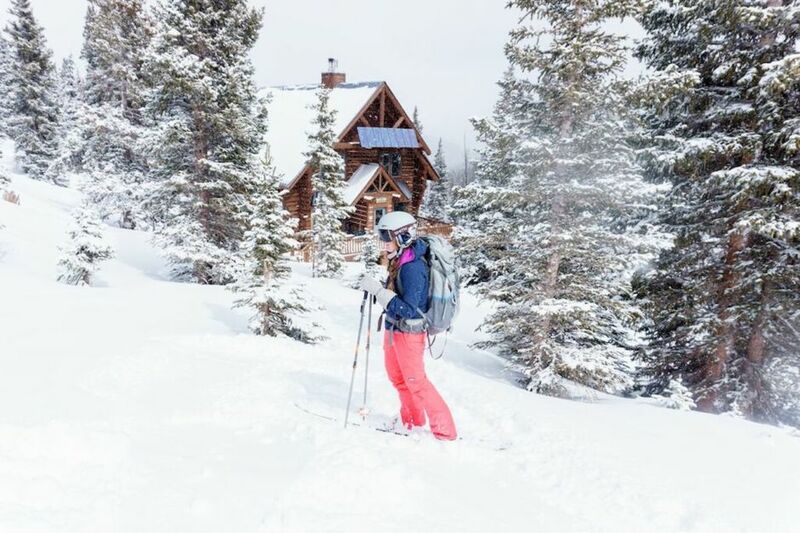 Huts are one of the more comfortable ways to head into this winter wonderland, and they’re readily available for all levels of experience and intensities. From floating on fresh pow to rum-shrouded game nights, hut trips in the backcountry are anything but boring. As much fun as they can be, hut trips also come with dangers lurking in the crannies of adventure. 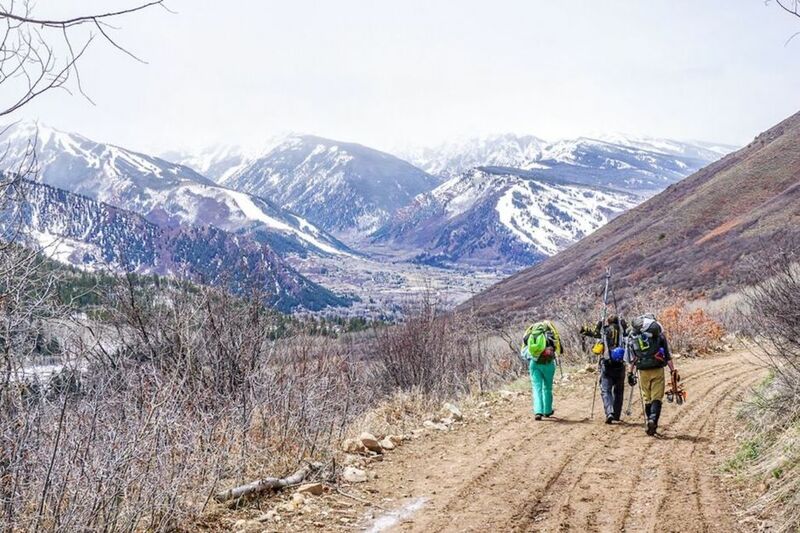 It’s important to plan, know what gear to take, and learn safety precautions so that you and your backcountry partners can have fun. 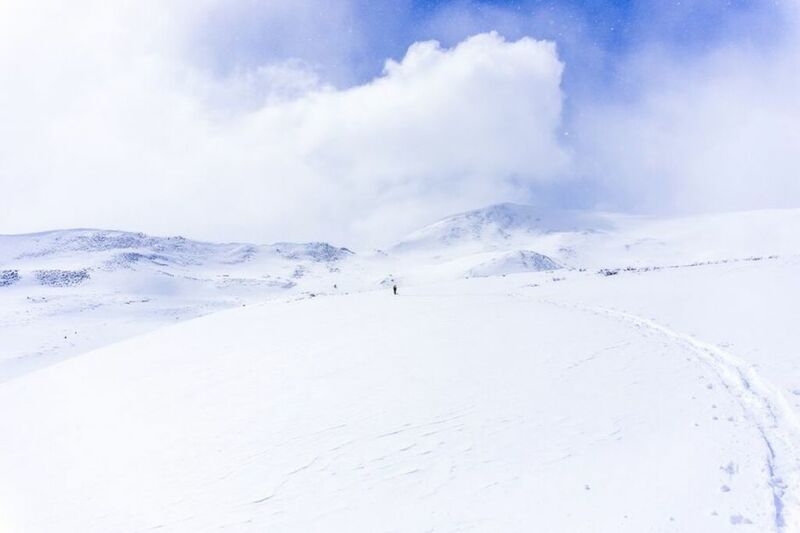 With some crazy friends, meals planned, skis on boots, and a wood-burning sauna waiting, the backcountry called us to its snow-covered expanse. Drew makes the final push up to the cabin. Engulfed by a snowstorm during our final mile, the tracks we are following are completely blanketed. It’s incredibly important to study maps and trip reports and take the necessary directional equipment - like a compass or a global satellite device. At times, meals can be the epitome of hut life. 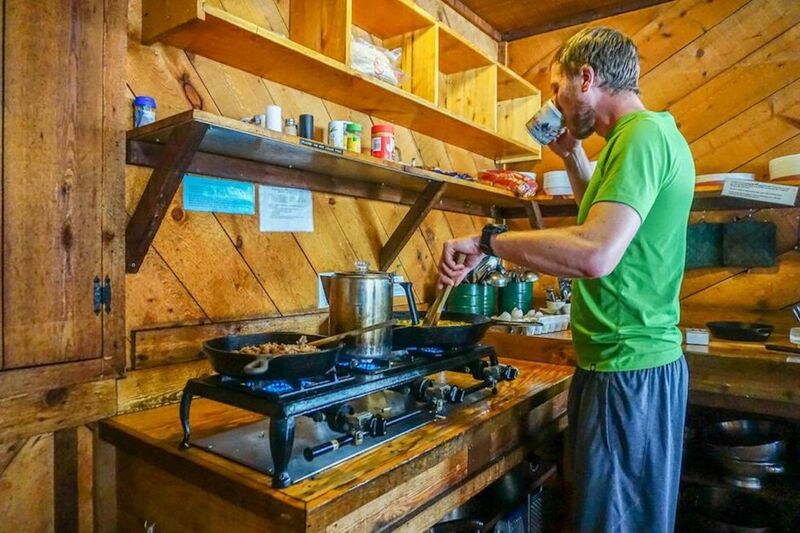 After a day of shredding, you come back to a cabin filled with the smell of fajitas and toasting tortillas. Depending on your group size, sometimes it’s helpful to break meals up, assigning two people to cook for everyone. This maximizes relaxation time while minimizing lone cooking stress. Chris starts on breakfast while the rest of our group snoozes away. 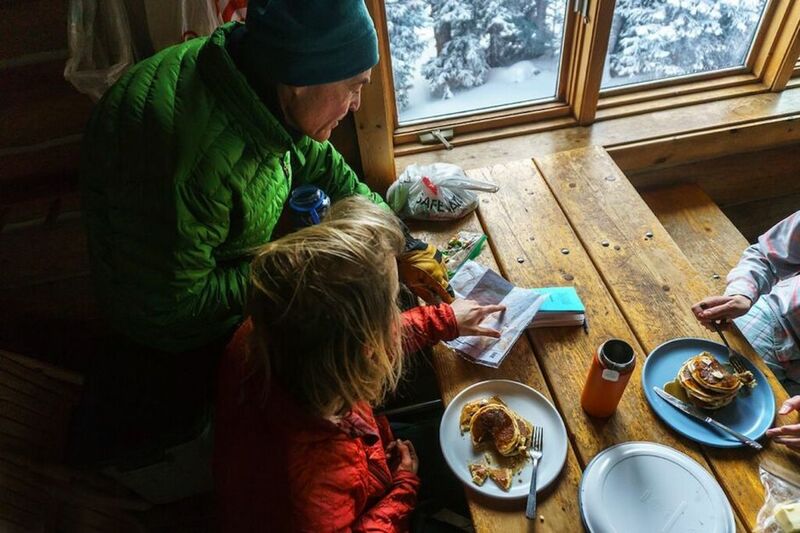 Drew and Larry discuss slope safety and devise a plan for the day over a stack of pancakes. Avalanches are no joke, and it’s important to take the necessary precautions for your safety and the safety of your partners. 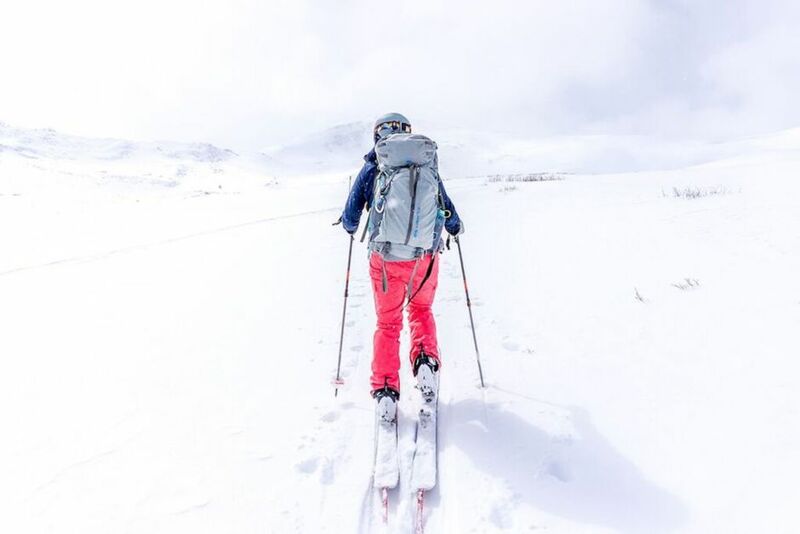 Carrying equipment like a shovel, beacon, and probe in avalanche territory isn’t the only must. Knowing how to use this equipment is vital. You should also take an AIARE avalanche training course when traveling in the backcountry to learn about decision making, how to use your equipment, and to get some practice. Lindsay takes a breather near the cabin after making some beautiful tracks. 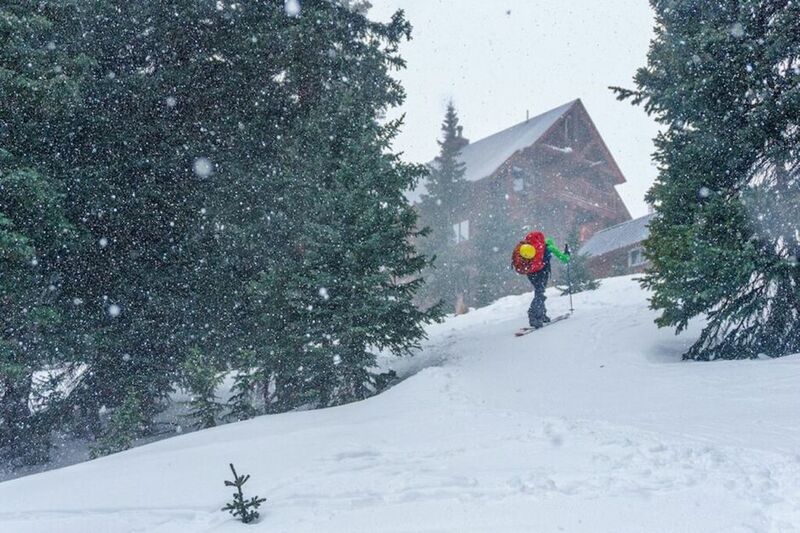 With fresh snowfall the night before, we’re lucky to have a few days of pristine powder. Drew moves along a slope checking out the terrain in the distance. With all that untracked terrain, only avalanche safety concerns keep us from skiing anywhere our feet can take us. Lunch is a time for tasty treats and warming our toes. After eating, more avalanche safety is discussed. 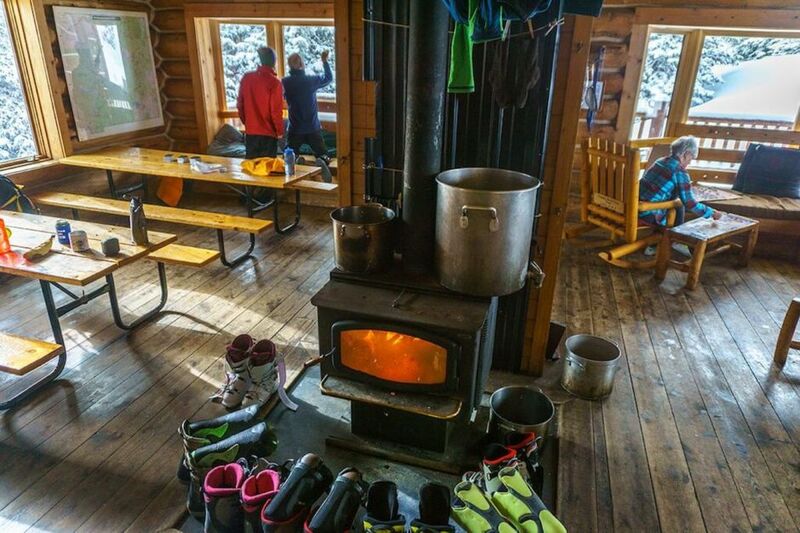 Huts are always well stocked with books, puzzles, and visitor logs, so the option is never just to ski. Peggy works away at a puzzle while Larry and Drew observe slopes now affected by the afternoon sun. Lindsay heads back out after lunch for a few more laps. Afterward she’ll head back to warm up in the wood-burning sauna. 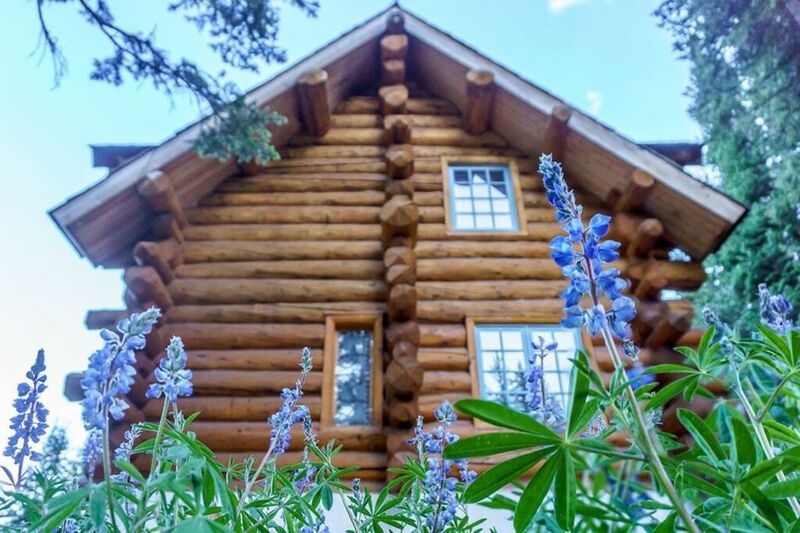 Huts around the Colorado backcountry come with a variety of amenities, sometimes including a sauna. A gully now filled with tracks lays behind us, and we have another whole day to ski to our heart’s content. The remoteness, ruggedness, and cold deter most people from winter hut trips - which also means sparsely populated, neverending terrain to explore. Another important planning step is to check on the weather conditions. We got hit with a snowstorm the evening before and wouldn’t have been able to find the trail had it not been for the route we programmed into our satellite device. On the way out, though, we cruised easily all the way back to our cars. Hut trips aren’t just for the winter. Vibrant greens and fields speckled with wildflowers give a stark juxtaposition to the snow-covered mountains. Summer also allows for lighter packs without bulky winter gear, but make sure to check into water sources! No snow to melt might mean you’re packing in your water.